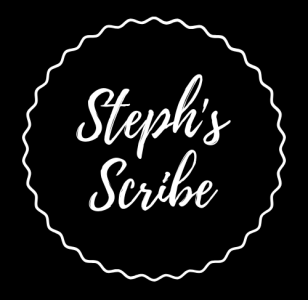 Do You Make Notes and Scribble in Your Books? I Do. With Pleasure. As a writer, reader, and educator, I am always reading. I read constantly. I am rarely without a magazine, book, or academic article. Often, I am reading a book or two simultaneously, whether they are nonfiction or fiction. Sometimes I am also writing at the same time. People often ask me if I write in books that I own. They ask me if I make notes in them, scribble words, highlight passages, and otherwise put my own markings on the sacred pages. The answer to all these questions is—yes. I do not find it sacrilegious to write in books in this manner, unless of course, you plan on lending them to many friends after you have read them. In that case, your notes may not make sense and may interfere with their enjoyment of the work. Readers make connections with the printed word and find meaning among the pages that heightens their understanding of the messages or passages or insight. The highest compliment one can get as a writer is if someone quotes back to you what you wrote or posts the passage in an article or blog. If this happens, you should consider yourself lucky because that means that someone connected with the material (or perhaps, disagreed with the material) on such a level that it became ingrained in his memory. I typically have a highlighter and pencil in my hands, armed to make notes when I am reading good stuff. This simple act furthers my engagement in the text. When students read books or printed works for comprehension, they can often be found highlighting passages and segments. It helps bolster students’ comprehension and furthers the involvement in the work. Sticky tabs on my new novel. I love my books, and cherish many of them. The ones I love most are filled with underlines, highlights, and words in the margins that spark or recap ideas. I also do this sometimes when reading one of my book club books, so I can refer to those passages that left impressions on me. Another idea is to use sticky tabs to mark the pages if you are intent to not damage the book with your own scribbles. There have been studies conducted in academia recently that show a direct correlation between handwritten note taking and success in college, and that students who take notes on computers do not retain the information in the same way that those who hand write their notes do. If you are so inclined, I encourage you to write in your books as they become a part of you. My mother’s copy of Pride and Prejudice. I love that I have my mother’s copy of Pride and Prejudice with her notes in it. 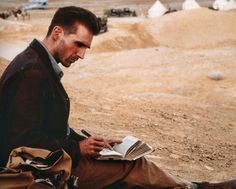 I also picture Ralph Fiennes in The English Patient writing and collecting things in his book and journal. It’s just a very cool idea. Next Post My Third Novel, Inn Significant, Is Now Available !! !